Warning: Do not read on unless you've seen The Walking Dead season three, episode 15: "This Sorrowful Life." "This Sorrowful Life" was appropriately named, because that's exactly what I found myself muttering after this slow, depressing build to the season three finale of The Walking Dead. Last week's "Prey" focused on Woodbury's battle prep and ended with Andrea strapped into the Governor's chair of torture. This week's episode focused almost exclusively on the prison and didn't offer so much as a hint to Andrea's fate. We start with Rick, Daryl and Hershel outside the prison discussing the delivery of Michonne to the Governor in order to prevent a war (something they still think is actually going to work). Rick tells them in confidence that he has made up his mind to hand her over -- despite Merle and Hershel saying "This isn't us" -- and doesn't want to share the news with the others. Knowing he needs help, Rick goes to Merle (who happens to be busy searching for drugs in the prison mattresses) to ask him to quietly bring Michonne to Woodbury by noon. Merle's reaction is sarcastically callous. He implies that it's a good idea to hand her over, then explains how the Governor isn't going to kill her, just "do stuff" to her. 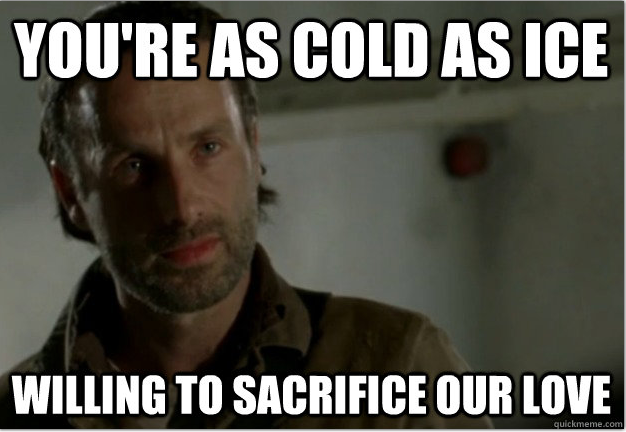 He too acknowledges that sacrificing Michonne is not a very "Rick" thing to do, darkly joking, "You're cold as ice, Officer Friendly" before agreeing to do the deed. As the prison gang readies for battle, Merle is still trying to get wasted. He has another forlorn conversation, this time with Carol, who tells him flatly, "It's not time to do shots. It's time to pick a damn side." Merle simply says he's there for his brother. Meanwhile, Daryl is outside talking to Glen, trying to get him to forgive Merle for beating him at Woodbury. Ironically, Glen can't forgive Merle for handing he and Maggie to the Governor, which is exactly what his leader Rick is about to do with Michonne. Daryl checks in with Merle and the two brothers have a yet another forlorn conversation about their relationship in this post-apocalyptic world. 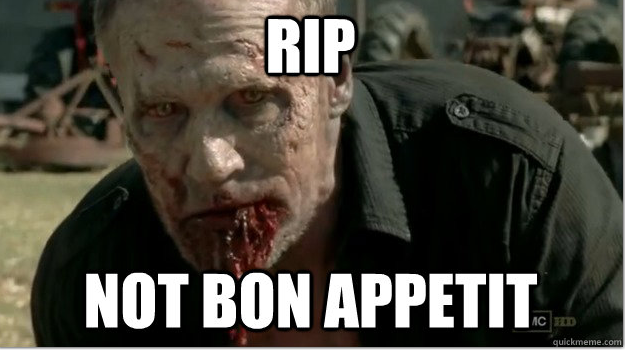 At this point, the amount of Merle dialogue gave me the feeling that this would be his last episode. What didn't help that deathly suspicion was the next scene, wherein Hershel reads a Bible verse to his daughters while Rick sees -- for hopefully the last time -- Ghost Lori. This time she's pregnant, and even though Rick says "You're not there," he is visibly shaken and immediately goes in to tell Hershel that he's changed his mind about Michonne. Back at the prison, Rick shares his updated decision with Daryl, who sets out to find his brother and stop him from handing over Michonne. Then, in what has become the series' most emotional B-plots, Glen sits down with Hershel to talk about his and Maggie's relationship. Surprisingly, he asks Hershel for Maggie's hand in marriage, even though there likely won't be a wedding (Please, please AMC do not squeeze that into next week's finale). 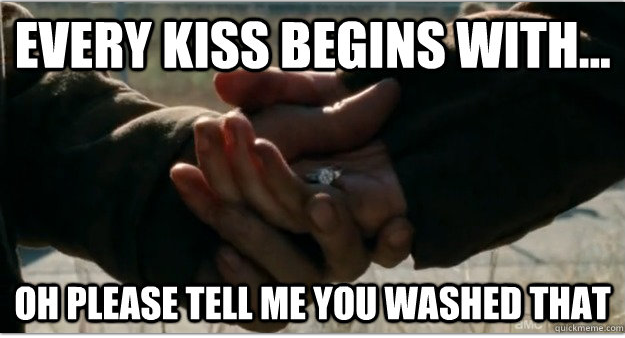 Since there aren't any Kay Jewelers in the vicinity, Glen goes out to the prison yard and snaps the fingers off an unsuspecting walker to pluck an engagement ring before proposing. How romantic! Back in the car, Michonne and Merle both try to get under each other's skin. Michonne tells Merle that the zombie apocalypse could have been his chance to start over and put his skills to a good use, but that he chooses to be an outsider. "No one's going to mourn you, not even Daryl," she says, adding, "Once the Governor's done with me at least I won't have to live with myself." Ouch. Her words obviously impact Merle, however, because he lets her off on the side of the road and tells her to go back to the prison and "get ready for what's next." He says he has something he has to "take care of alone" and drives off. 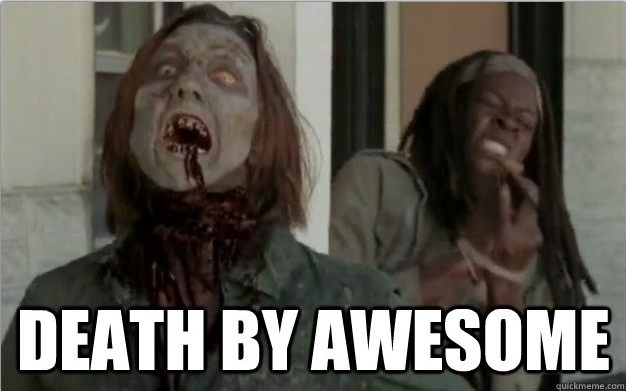 Minutes later, Michonne runs into Daryl. She tells him that Merle let her go and he takes off after him, telling her not to let anyone come after him. Merle finally finds his booze at a liquor store and starts a party in his parked car, blasting loud music to purposefully atttract walkers. He begins slowly corralling them and leading them to Woodbury. Once he gets close, he jumps out of the car, letting it slowly roll into town and lead the walkers along with it. He sneaks in on foot as the Governor's men start fighting off the walkers. After picking off a few of his men, Merle gets caught by the Governor, who promptly shoots him point blank, although we do not actually see him die. Meanwhile, at the prison, Rick finally gathers everyone and updates them on the Michonne situation. Although he no longer wants to hand her over, he has no idea if Merle has already done so or if Daryl has been able to track them down. Ditching the "this is not a democracy" talk from the end of season two, Rick turns over a new leaf, promising to let his group, or "the greater good," decide what happens to them from now on. He seals it with a pretty direct metaphor by saying, "I'm not your Governor," which you have to admit was kind of a groaner. CAN WE JUST SEE RICK AND THE GOVERNOR DUKE IT OUT ALREADY? Sorry, but this is getting ridiculous. All in all, I didn't think this episode accomplished very much. All the back and forth about what to do with Michonne felt unnecessary, and while Merle's death was certainly dramatic, it didn't have to happen before the prison vs. Governor battle. Did you expect this episode to be more action-packed? Are you excited for the season finale or frustrated by the end-of-season slow burn? Leave your thoughts in the comments.